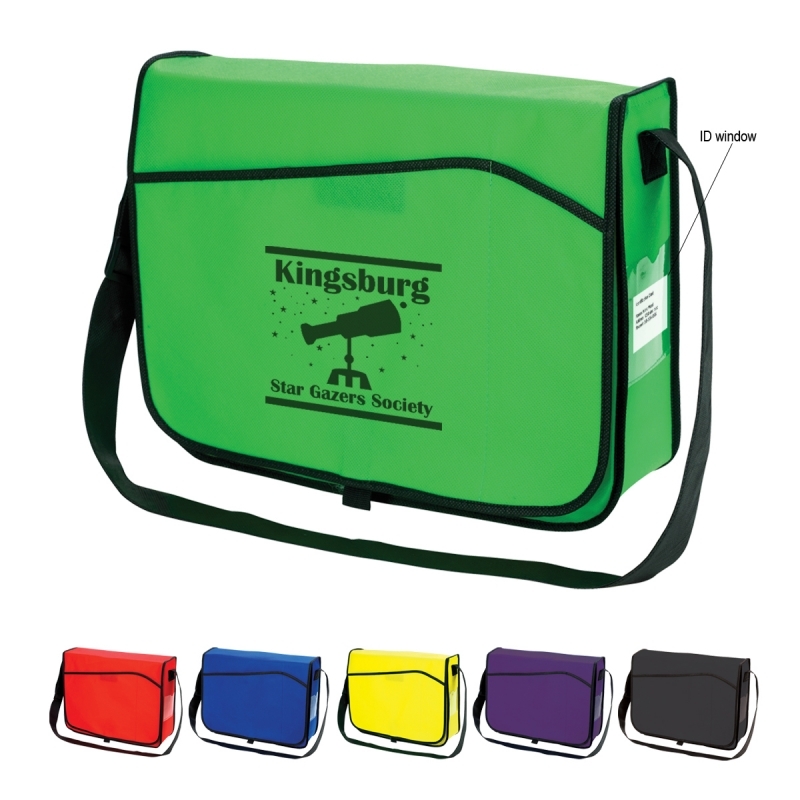 Personalized Economy Messenger Bags Custom Printed in Bulk or Blank. Promotional, Inexpensive. On Sale! Budget Prices in the USA and Canada. 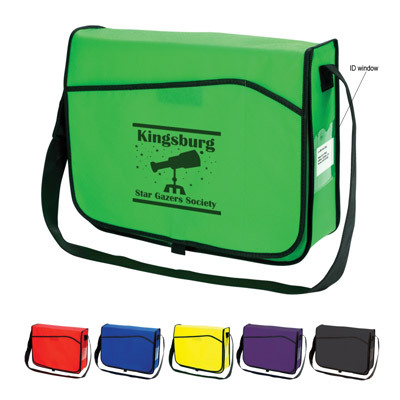 Advertising Economy Messenger Bags with adjustable shoulder straps. Made of Coated Non-woven, Water Resistant material. Lowest cost in North America. Free Art Design. American Clients pay no taxes. The unit prices below include your 1-color custom imprint on one side, or they are for blank (not custom imprinted) Economy Messenger Bags.